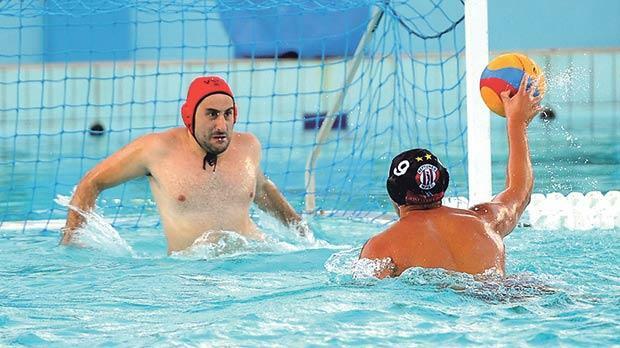 An impeccable performance by Neptunes, reminiscent of their five-year streak of championship wins from 2010 to 2014, left current title holders San Ġiljan muted and gasping for breath, yesterday. The Reds’ dismantling of their neighbours tore to shreds their current tag of underdogs given the team’s ratings at present. It was a truly splendid class act which had an inspirational Alan Borg Cole in goal providing his colleagues with oxygen which had all the components, including youngsters Jeremy Abela and Miguel Zammit, complementing the guile and striking ability of the team’s thoroughbreds. They dominated from start to end, building their advantage with increasing momentum. Steve Camilleri, despite hanging on two early exclusions, survived to again top his team’s striking charts. San Ġiljan could not fathom what struck them. They were shoddy throughout, no doubt surprised by their opponents’ discipline engineered by the astute Zoran Maslovar from the bench. They were rarely allowed space for a steady pot at goal from the five and six positions and when they managed a shot, the Reds’ rearguard invariably blocked these efforts. San Ġiljan will surely have to put this poor display behind them and thus regain confidence in their undoubted ability. In the previous match, a smart Valletta McDonald’s had the better of Sirens Ritter Sport in a brisk and entertaining contest which had Russian Dimitri Kholod, scorer of five goals, at the beck and call of his organised colleagues. The duel was generally close with the City team mostly nosing in front by a single goal. As Valletta stepped up a gear Sirens twice fell behind by two lengths, a deficit which was extended to three goals during the last session and back again to two with time running out. That gap was maintained until the end, with Stephen Rizzo’s troops deservedly emerging winners. The First Division match ended with a 13-8 win for Marsascala Nutrition Empire who had Otters Nivea subdued from the third session onwards. The team from the south had centre Stephen Micallef helping himself to six goals. The losers could make no impression on their opponents and it was only their foreign player Marko Jelaka who left his mark with four goals. Marsascala N. Empire: K. Schembri, J.C. Cutajar 1, J. Busuttil 1, C. Bonello 1, J. Bajada, L. Grixti 1, G. Kovacs 2, J. Cremona 1, S. Micallef 6, M. Pace, D. Cassar, O. Zammit, B. Dougall. Otters Nivea: R. Bonnici, M. Borg Millo, R. Greco 1, L. Hyzler 1, K. Scicluna, L. Peric, G. Mizzi, M. Jelaka 4, S. Dimech, G. Debono 1, M. Borg 1, R. Gauci, M. Xerri. Referees: A. DeRaffaele, M. Piano. Sirens: N. Grixti, Z. Mizzi 2, S. Mora 3, G. Pace 1, M. Grech 1, I. Riolo 2, M. Balucci, D. Cutajar 2, J. Napier, J. Sciberras, L. Caruana, N. Farrugia, J. Cremona. Valletta: R. Sciortino, J. Spiteri Staines, A. Agius 1, M. Rizzo 1, A. Mifsud 1, R. Mock 1, D. Paolella, N. Bonello Ghio, M. Cordina 2, C. Zammit, D. Kholod 5, A. Zarb Cousin, M. Spiteri Staines 2. Referees: A. Goncharenko, R. D’Antoni. San Ġiljan: J. Sammut, P. Borg, A. Galea, B. Vapenski 1, D. Zammit, M. Zammit 1, K. Galea, C. Mercieca 2, B. Plumpton, A. Cousin 1, P. Fava, J. Galea, D. Camilleri. Neptunes: A. Borg Cole, N. Lanzon 2, C. Radu 3, L. Gialanze, T. Agius 2, M. Lanzon, S. Camilleri 4, J. Camilleri 2, J. Abela 2, M. Zammit, B. Lanzon, M. Azzopardi, M. Castillo. Referees: M. Angilleri, M. Piano.